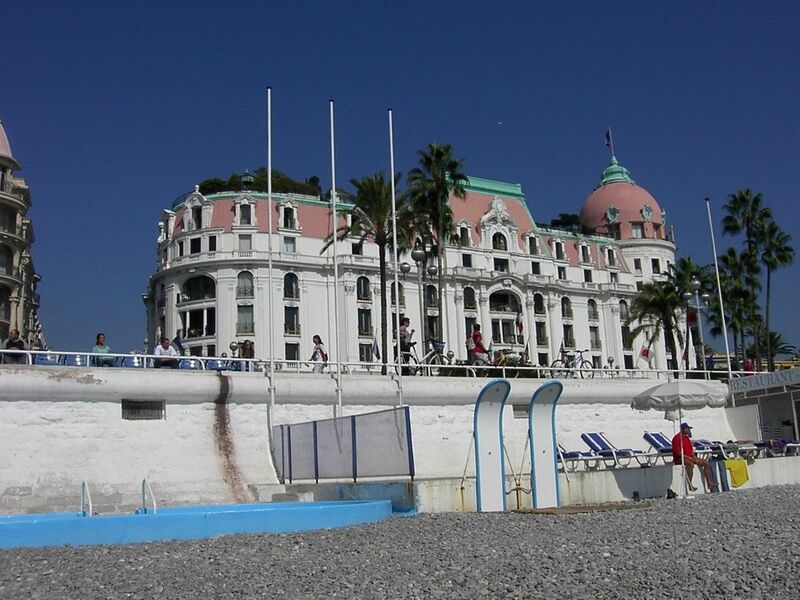 NEGRESCO Building, one of the most most famous palaces in Nice only a few meters away from the sea and the well known Promenade des Anglais and very near the pedestrian shopping area .Supermakets and other shops are only a few yards away . The studio is on the third floor , beautiful staircase and 2 lifts. corner with fridge, 2 hot rings,microwave and kettle.New TV . There is a large window overlooking an internal courtyard. and a 'concierge ' service during the day. I have studied in U.K. , France , Germany , now I live in Italy but I travel a lot around the world. I have always loved Cote d'Azur and it was lucky to find this Studio in Nice after many years of research . Nice is fantastic town to stay with many things to do ... walking , swimming , cycling and eating out ! It was love at first site , when we saw where the studio was located we did not believe it .... in the most historical building in town , 100 years old. We spent a lot of time renovating it , and it was a plesure. of shower , basin and WC . A small kitchenette with fridge, microwaves, kettle, 2 hot rings . The studio is on the 3rd floor and there are 2 lifts that you can use . There is an extra charge of Euro 40 for cleaning at the end of the stay .